Yep they did it again! There is a large thirst for Duty Free products from South Korea among mainland Chinese travelers who then smuggle these goods into the country and sell at a big profit and they made headlines for all the wrong reasons again starting a brutal fight inside one of Incheon Airports Duty Free Shops. Three of these ‘shoppers’ or smugglers as I prefer to call them got totally out of control and video footage shows a man stomping on a woman’s head after she went to the floor following an initial fight with another female competitor. 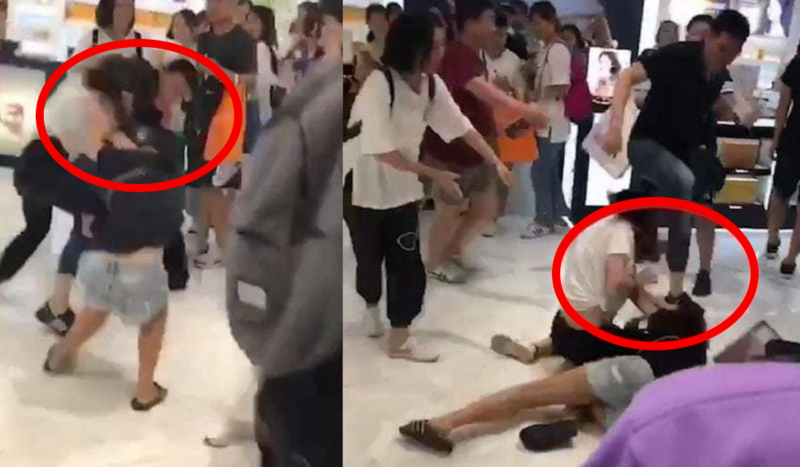 It’s unclear what this battle was all about but it shows a clear lack of civility and probably calls for measures to be taken by airport authorities in Korea to keep these people in check. The video surfaced on Miaopai (access here) and was cross posted by Shanghaiist after it went viral. It’s not clear what exactly the scuffle was about, though we suspect that theirs is a competitive business. Last year I wrote about the behavior of these people at Incheon Airport in a Whine Wednesday (see here) and I’m not in the least bit surprised that it has gotten even worse. Chinese tourists have meanwhile almost disappeared from Jeju Island in South Korea following a tour group ban and apparently residents are happy and don’t want them back. I’d imagine these individuals now land on the infamous travel blacklist which means this was their last overseas shopping adventure for a while. Even though is hasn’t been mentioned anywhere but I hope they got arrested after this stunt. Totally unacceptable that a scene like the one above can go on in a airport without authorities or bystanders stepping in immediately. I have given up counting on common decency of these people. Call me old fashioned but I think I’d have lost it seeing that guy – wearing a man purse – stepping on someones head – let alone a woman. Probably a well positioned right hook would have taught him a lesson.